The raised ridge ensures consistency in grip placement and hand alignment. When installed on a shaft, the red ridge rises and extends down the back of the grip to aid better hand alignment and more consistency. ALIGN® locks the hands in place every time. State of the art rubber blend for maximum playability. A scientifically designed non-slip surface pattern with plus sign texture that pulls moisture away from the surface to allow for consistent traction in all playing conditions. Available in Standard and Midsize profile. 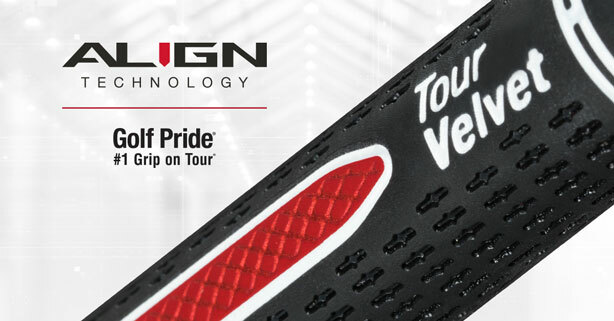 ALIGN Technology conforms to the rules of golf.